A little background on Big Bird first. Big Bird has been one of my favorite characters for as long as I can remember. I had such love for “Sesame Street” as a child, and I still do as an adult. Seeing Big Bird in the video with Jane Pauley made my heart soar and brought a huge smile to my face. And, if we’re being completely honest, it made me tear up a bit, too. Big Bird has brought such joy to my life. And he’s been a part of a wonderful show that is celebrating it’s 50th season in 2019! I had three stuffed versions of Big Bird as a kid – A small one, a medium one, and a big one with a pull string where he talked. There are many photos that feature a version of him from my childhood. He was definitely a “lovey” for me. I recently shared this throwback photo on Facebook. This is framed in my parents’ house. We went on two cruises as a family with my dad’s parents. This was on “The Big Red Boat” in the mid-1990s, when we went to Cozumel and Cancun. You can see my dad holding my big Big Bird at the bottom. I also wrote a comparison-contract research paper on the educational effectiveness of Sesame Street versus Barney & Friends in my first college English class in the fall of 2007. One of my friends who was in that class, Adam, mentioned it recently when we reconnected via Facebook. It was so cool! I need to see it I still have it in my files. 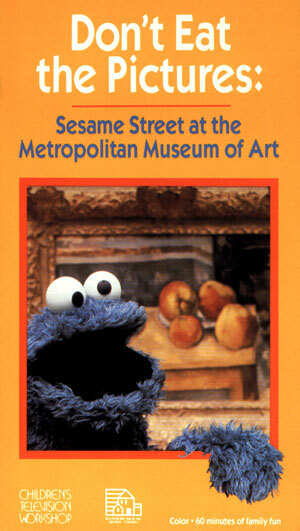 I know I used the book Sesame Street Unpaved: Scripts, Stories, Secrets and Songs (1998) as a reference source. Started by TV producer Joan Ganz Cooney and Carnegie Corporation executive Lloyd Morrisett, Sesame Street is truly a cultural revolution. It’s now broadcast in 150 countries around the world. They partnered with Jim Henson and his Muppets. It’s true – Kids are captivated by Muppets. I know I was, and I still am. If you see my Facebook page, I regularly share things related to Kermit The Frog, Miss Piggy, Beaker, Cookie Monster, and Big Bird, of course. To celebrate its 50th anniversary, Sesame Street is producing a new TV special and embarking on a 10-city tour. Also, a Manhattan street will be named after it. Now four years into its five-year-deal with HBO, Sesame Street has had quite a history. It’s home for decades was PBS, which I watched exclusively during my childhood (See Commentary #44: My Life as a PBS Kid from October 2016). In addition, Sesame Workshop signed a deal with Apple last year – The financial terms were not disclosed, by the way – to have “multiple live-action and animated series as well as a new puppet show for its planned video service.” Also, PBS still airs new episodes, but the deal with HBO stipulates new episodes are aired nine months after their original release on HBO and their HBO Now on-demand library. There have been more than 4,500 episodes! It’s YouTube channel boasts more than five million subscribers. That’s incredible! Roughly 80 percent of parents watch Sesame Street with their children. I know my parents did. Do you have a favorite Sesame Street character? Did you watch Sesame Street growing up?